Post includes affliate links, read here how these work. It’s this year’s thing isn’t it? And everyone is telling us a vegan diet is super frugal, money saving, healthy AND eco friendly. And it CAN be. I promise you. BUT BUT BUT … when you’re a vegan beginner – or beginning to add more vegan meals to a flexitarian diet – it can ALSO be, anything but!! Shipping plastic wrapped stuff half way round the world under some crazy notion it’s eco friendly just because it’s got a big fat vegan label slapped on it!! How can we go vegan – or eat more vegan meals – easily? AND save money, eat healthily and reduce our carbon footprint at the same time? 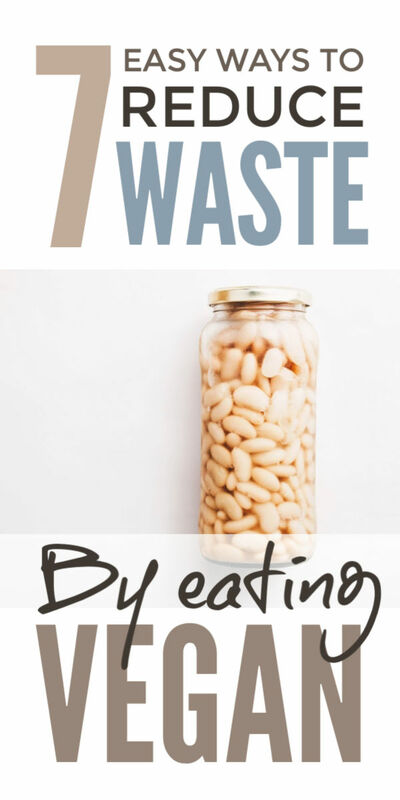 Well, I’ve found 7 super simple, frugal, healthy, zero waste, vegan eating tips that truly help me. I’ll share them in a moment. But FIRST three beginner secrets to remember about eating vegan. The vegan bandwagon hurtled into 2019. Stores are falling over themselves to offer vegan ready meals. Vegan milk. Vegan snacks. Vegan this, that and the other. And ALL at a nice tidy premium. That ain’t going to save any of us money. So if we’re going to save money eating vegan we NEED to cook. From scratch. But MOST of us – me included – are pretty rubbish at cooking. Or at least at churning out tasty meals day after day after day. So BEFORE we rush out for a shelf full of vegan cookbooks we must master some basics. They’re NOT fancy. Nor Instagram ready. But they are quick AND frugal. They’re the foundations of an everyday affordable vegan diet. And really will save money. OK the next secret to remember is that meat free diets CAN be extremely unhealthy. I know this personally only too well. Good meat and dairy is full of healthy stuff. And it is ALL too easy to switch that meat and dairy for monolithic plates full of carbs. I survived – unhealthily – on pasta, pasta and more pasta for years. OK. If I’m honest, decades!!! So please do learn from my mistakes and enjoy the true health benefits of going vegan by filling up on veggies, pulses, nuts, seeds and less processed grains. And – super important – LOTS and LOTS and LOTS of different types of each of them. So you truly unlock the power of their amazing minerals, vitamins and other nutrients. And do NOT end up – like me – anaemic. My final secret to a sustainable vegan diet before I share my 7 easy vegan lifestyle tips, is this: do NOT fall for vegan hogwash. AKA dodgy marketing trying to part you from your hard earned pennies by claiming VEGAN = ECO FRIENDLY. Always. End of. Large monolithic, water guzzling, pesticide covered arable farms shipping vegetables and grains and nuts and more all over the planet trailing a big cloud of exhaust emissions behind them are as devastating for the planet as large meat farms. AND of course, THEN there’s the packaging. Vegan ready meals, wrapped snacks, drinks in plastic bottles, fancy fruit and veg wrapped in plastic etc etc are ANYTHING but plastic free and zero waste even if they are meat free. 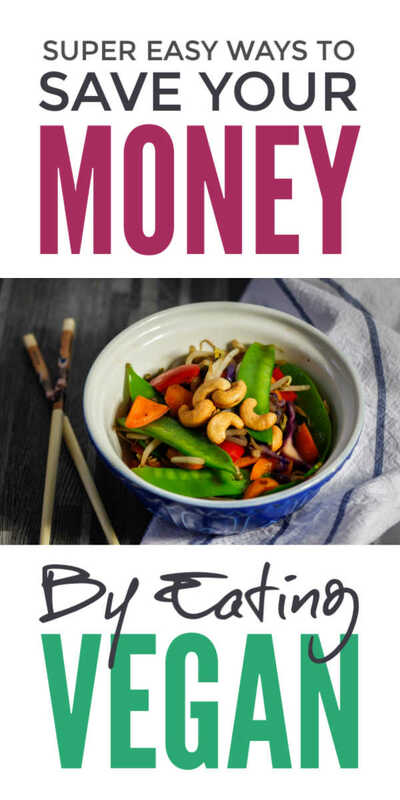 Now we understand those three big secrets of a money saving, healthy, eco friendly vegan diet we’re ready for the easy vegan lifestyle tips that will help us put them into practice. More and more stores stock almond milk. Which seems super handy for a vegan diet. BUT it typically costs twice as much as a litre of organic milk from a small British farm!! And it turns out NOT so eco friendly after all. Because most places don’t grow almonds – certainly not on my soggy little island – and they are nearly ALL shipped round the world from California where they guzzle unbelievable quantities of water. 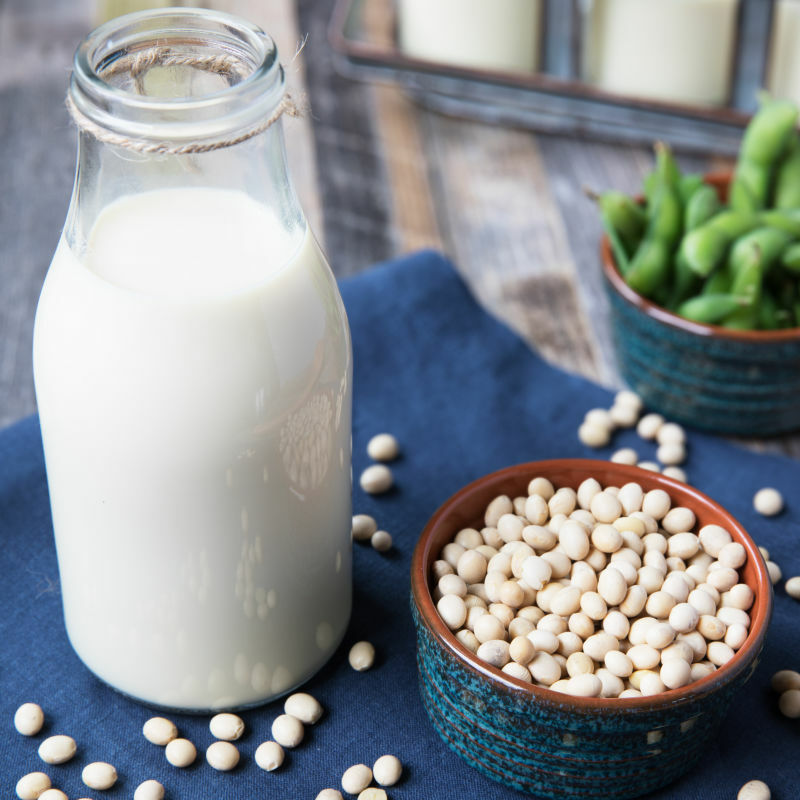 It’s simple: make our own vegan milk from oats. Oats are cheap, healthy AND grown worldwide organically so an eco friendly choice. There are lots of recipes for oat milk out there. And if you want to make it totally properly check out this one from Pistachio Project. And I am just NEVER going to do that. I drink it straight like that. Blending dry and to a cream first means there’s no pulp to strain and throw away. So healthier and zero waste. As it’s so simple and quick we don’t make it to store it, just when we need it. You do need high a power blender for this. I have an old basic Nutribullet I swear by. It’s about the one gadget I couldn’t live without and essential – I reckon – for a simple, cheap, healthy vegan diet. And a must for my next vegan lifestyle tip which is souping. BECAUSE as we talked about earlier, the foundation of a vegan diet is a big old range of veggies and pulses. Most of which WILL be truly disgusting juiced. BUT are super yummy in quick blender soup. I eat a big bowl of this almost every work day. And it means – even if I am crazy busy – I have filled up on a good four or five helpings of veg and pulses plus some nuts. Then whizz it around for 2 minutes and heat on the stove for a few minutes more. It IS that simple. Super cheap. Super healthy. If you find it a bit raw to start off with, just quickly roast the veg for 10 minutes with the chilli, garlic, turmeric and ginger. It will just take the edge of the veg. And bring out the lovely rich flavours. For an extra health shot, scatter sunflower or pumpkin seeds on top. Now ALL vegans – I am sure you know – HAVE to have jars and jars of pulses and beans. Bulk bought so zero waste. All ready to be religiously soaked, just so, for stunningly complicated dishes that must simmer away for hours on end. NOOOOO … don’t fall for the stereotype. I am in awe of the amazing cooks who create delicious vegan dishes in kitchens like that. BUT I am NOT an amazing cook. I need quick. I need easy. I need doable on autopilot with my brain somewhere else. Especially WHEN it comes to protein. So cans of ready to go protein-rich chickpeas, lentils and beans of all sorts are a must. You can blend them in soup as above. Or any quick pasta sauce you’re making. And with nothing more than a jar of mustard, a jar of good curry powder and a bottle of half decent wine vinegar of some sort or another you can instantly add small helpings to quick salads and stir frys of any sort. And yes – of course – pulses and beans are awesome in all sorts of fancy, complicated vegan casseroles and curries. But the BIG trick when you’re beginning a vegan diet is to find all sorts of easy ways to add a handful instantly to all sorts of meals so you know you’re getting your protein without fail. And if that means a can of baked beans on toast, no worries: that’s a good third of your daily protein ticked off, no effort. 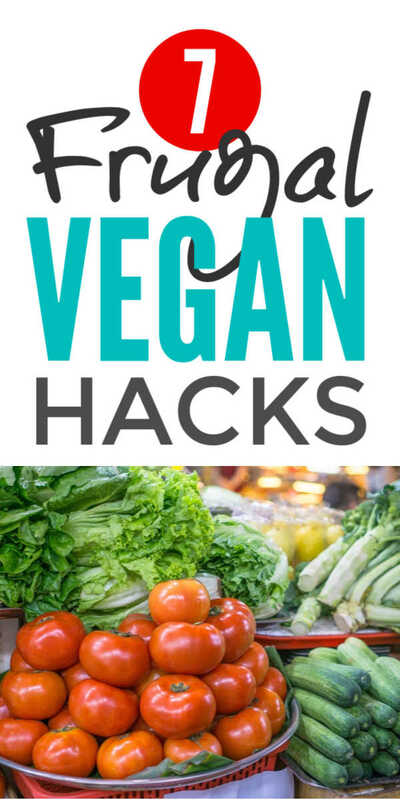 And then – and only then – as you build up your repertoire of easy vegan recipes, you can start buying bulk. Cans of course are NOT as zero waste as bulk loose produce but are easily recyclable. And I buy my cans from an organic producer less than twenty miles from my home so overall the carbon footprint is low. 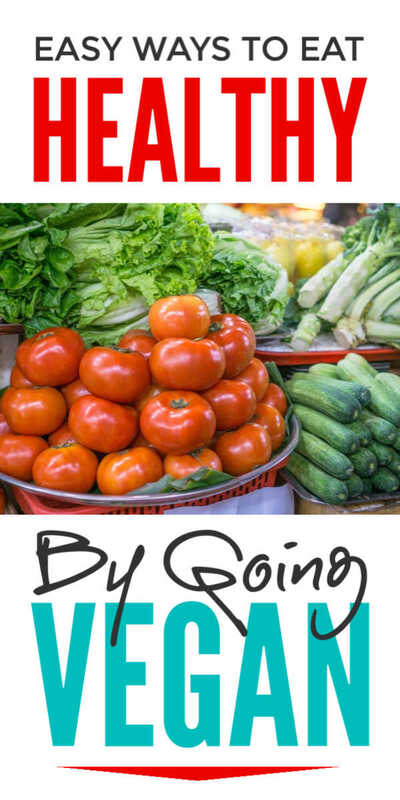 Buying bulk is a wonderful way to save money AND go zero waste on a vegan diet. BUT not if we never eat what we buy!!! I have to put my hand up here and confess I have had to chuck out far too much forgotten food over the years. The good news is month by month, year by year that list will expand, so you will save more and more money buying bulk and cut more and more waste. Oats. Grains. Pulses. The lot. Will add up. Just be patient. Don’t run before you can walk. You get my drift. So onto vegan lifestyle tip 5. The vegan bandwagon truly has gone global. With vegan recipes and ideas shared around the world on Pinterest at lightening speed. There’s ONLY one problem with this. Eating a healthy vegan diet cheaply AND in an eco friendly sustainable way MEANS eating local, seasonal food. What’s local and seasonal in sunny California or isn’t local and seasonal in soggy old Britain. AND shipping loads of food round the globe is massively responsible for pollution levels. So here is today’s homework: find a good list of seasonal veg and fruit for YOUR region. If you’re a fellow Brit, the Vegetarian Society has one. Use your local seasonal list as the basis for your vegan meal planning. 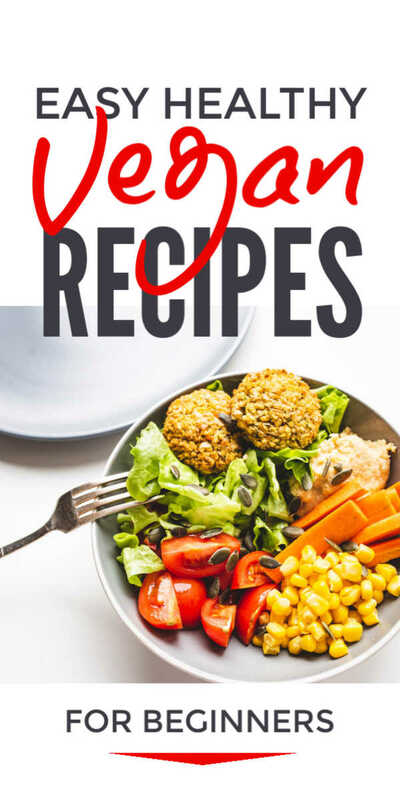 The good news is, it is VERY easy to adapt vegan recipes for different seasonal vegetables. Particularly with a weekly roasting session. And no, by roasting session, I don’t mean bawling out your partner or kids every Sunday. Just putting aside an hour or so to sit in the kitchen and peel and chop seasonal veg. I use it as an hour to zone out and calm down listening to a fave old book on Audible. Simply chuck the veg in a big baking tray or two with oil, garlic and herbs or spices of choice and roast for an hour or so. You do NOT need a recipe. I just use seasonal vegetable ideas like these as inspiration. Then with roast veg sitting in the fridge waiting for you every evening, you’re only 15 minutes or so away from a healthy meal every night. They can become lasagna. Curry. Fajitas. Wraps. Casseroles. Risotto. They can go in flans. And on top of pizzas. And if they’re not getting eaten just pop them in the freezer for another week. I have some glass meal prep containers I use to keep the roast veg in both the fridge and freezer so there’s no plastic waste invovled. Plastic – sadly – is an issue with green veg. All those lovely healthy leaves we NEED every day on a vegan diet come wrapped in plastic. Even my local store which tries hard to be zero waste can’t easily buy greens – especially salads – plastic free. The good news is green leaves are super easy to grow all year round. And you can grow them in nothing more than a pot in a tiny space. Kris at Attainable Sustainable has lots of simple tips on growing green veg in small spaces, even if you’re a beginner. And by cutting them as we’re about to eat them, we get a mega hit of the big minerals it’s easy to miss out on with a vegan diet. So, even if you’re NOT a gardener. Yet. Give them a go. Go on!! Because seriously, growing mixed green leaves is about the simplest, healthiest,most money saving, eco friendly vegan lifestyle tip ever. Again, the big thing to remember is, we don’t need to dutifully follow complicated recipes. We just need to aim for a big old handful of mixed green leaves with each meal. For easy inspiration check out these ideas. 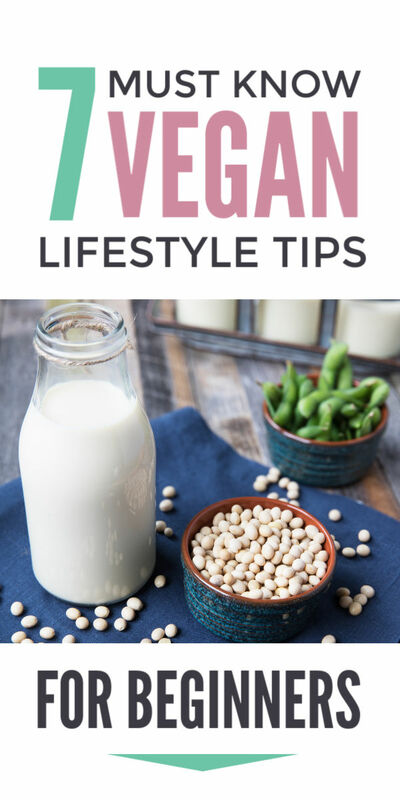 So there you go: 7 easy vegan lifestyle tips. 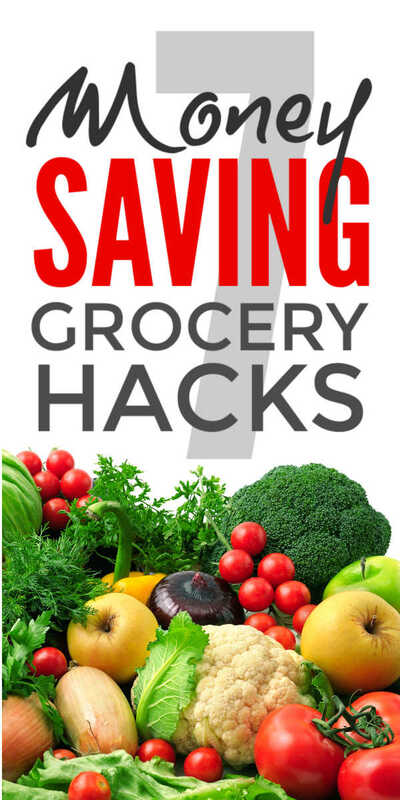 PLUS those three key money saving, healthy, eco friendly secrets for vegan beginners. I DO hope they help. Let me know.